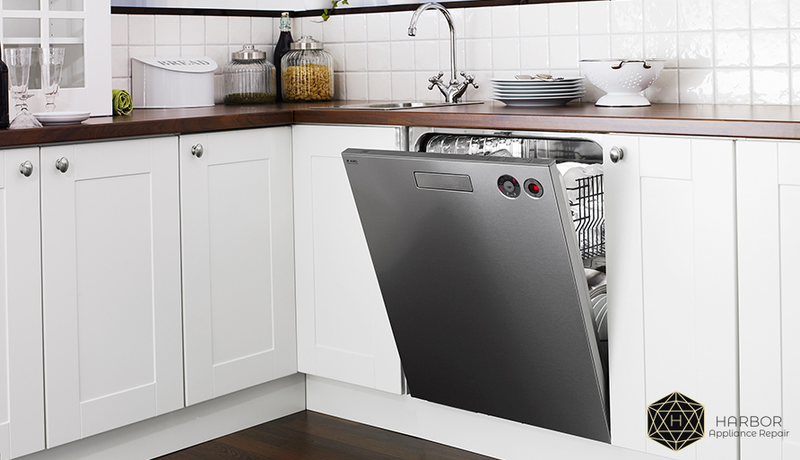 What Are The Problems And Errors Of Dishwashers? Dishwashers are always near us. We use dishwashers but still do not know everything about them. Not every hostess likes to wash dishes, therefore, wanting to free up time for more pleasant deals,the hostess acquires a dishwasher. Sometimes it breaks down and displays errors on the display. Perhaps there is no breakdown and just look at the instructions and try to fix the problem yourself. Water leak. Make sure that the machine is on the right level, all seals are tight, the leakage sensor works properly, you use the proper detergent. No drain. The drain hose, sewer in the apartment, filter pumps can be clogged. You need to check if the hose has leaned over, and also should remove all food residues on the pump, impeller and other details. No startup. There may be no power, the dishwasher door is not closed properly, water does not flow, there is not enough power in the voltage. Poor quality of washing dishes. This problem can occur due to improper loading of dishes, a small amount of detergent, clogging of sprinklers or filter-settler. Knockout of plugs or automatic devices. Probably, a short circuit has occurred inside the dishwasher, water as a result of depressurization has got on the electrical parts, the heater does not work or there are voltage fluctuations. Lack of water heating. Most likely, TEN has burnt. When does the dishwasher give an error? The errors appearing on the display indicate a breakdown of individual parts or a malfunction of the programs. First, according to the instructions, restart the test management system. If the manipulations indicated by the manufacturer do not come to the desired result, you should contact the service center’s master.